Golfweek Top 100 in the U.S. Relatively short par 4 where distance off the tee is not a factor. Your tee shot should be just left of the right fairway bunker to have the best look at this green. The green is on a plateau and plays uphill on your second shot. Make sure you have enough club on your approach and left is no good. 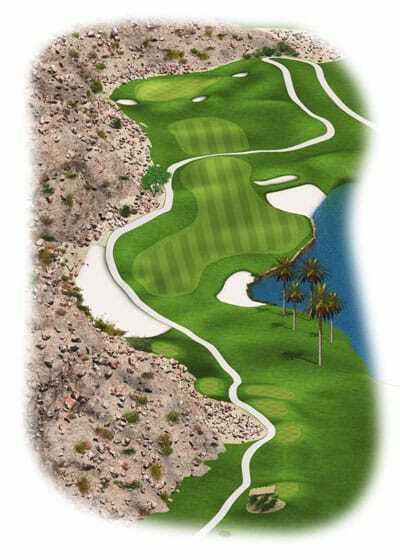 One of the toughest par 3s in the desert with water all down the left side and around the green to the left. If you miss the green, you want to bail out to the right side which will give you the best possible chance to get up and down. The green slopes slightly from front to back. Fairly short par 4, slightly dog-leg left. Try to keep your drive down the center of the fairway. For your second shot, keep the ball below the hole and don’t be long, because this green slopes severely from back to front. A picturesque par 5 with bunkers down the left-hand side off the tee and a large bunker near the green. The best tee shot is down the right center of the fairway. Some of the longer hitters will be able to reach this green in two. The green is very undulated and par is a good score here. 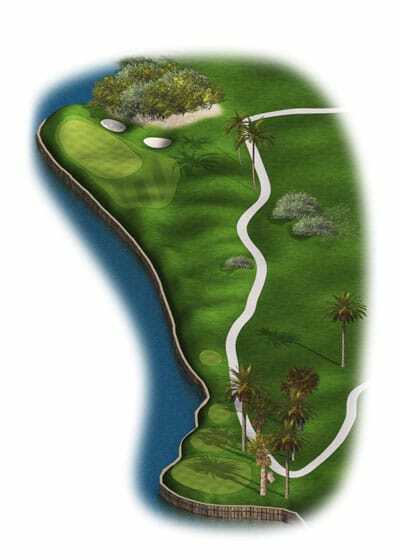 Straightaway par 4; keep your tee shot left of the water hazard on the right. The second shot plays uphill so take an extra club. The green is wide but not very deep therefore a high shot is recommended. 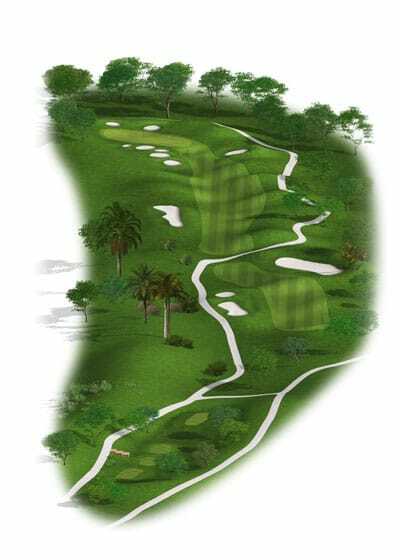 A relatively short par 5. The water on the right side really comes into play on the tee shot, so position your drive down the left side of the fairway. Some players might be able to reach this in two shots. The approach or second shot plays slightly uphill as the green is elevated. This green is undulated with plenty of slope. Keep your drive down the left side of the fairway to avoid the waste bunker to the right. The second shot plays slightly uphill and there is a huge slope in the middle of the green from back to front. 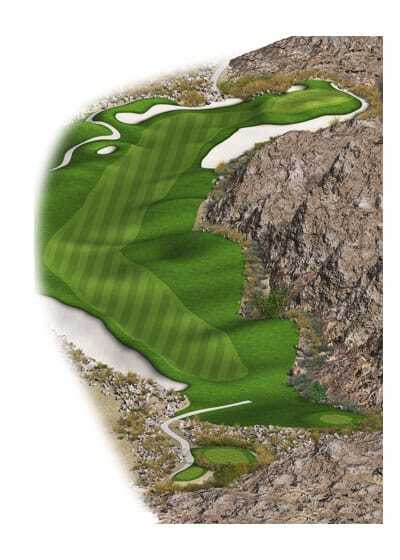 There are really only two pin positions on this green – in the back and in the front. Par is a great score here. 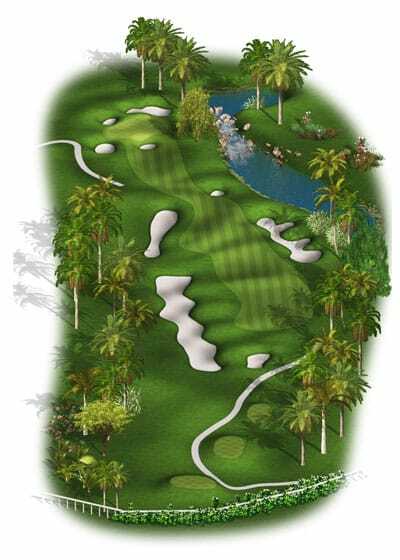 There is a small pot bunker in the middle of the fairway; the best tee shot is to the right of the pot bunker to give you the best angle to the green. The green is well protected with bunkers and grassy slopes. 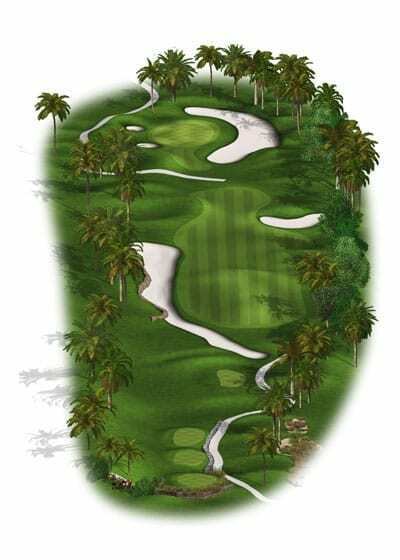 This green is also undulated and requires good touch with the putter. 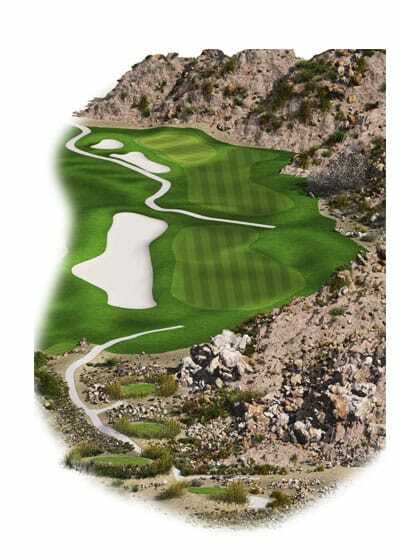 This is a straightaway par 4 where accuracy is more important than distance off the tee. Your second shot plays slightly uphill to an elevated green. 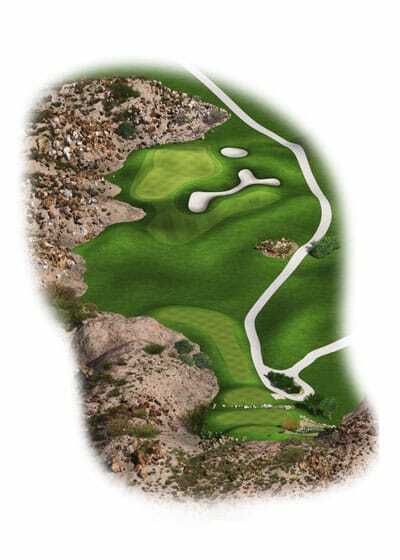 There is a huge slope in the middle of the green, therefore pin placements are either in the front or back. Straightaway par 4. You need to avoid the bunker on the left with your tee shot and take dead aim at the pin on your approach as the green is fairly flat. Take advantage of the opportunity to score on this hole. 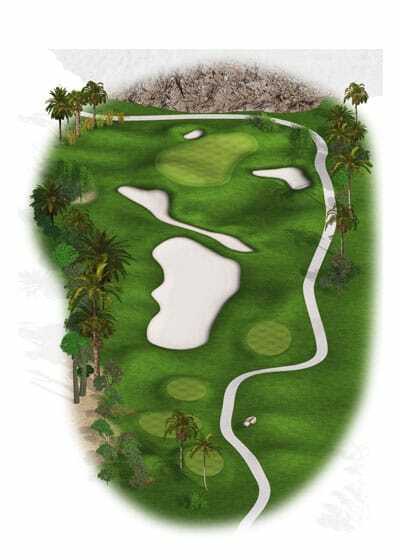 This is a short par 4. 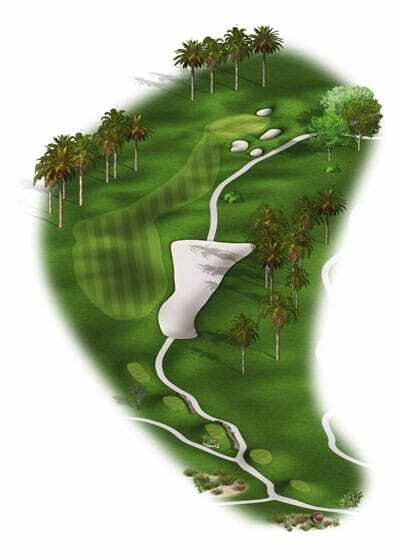 There’s a water hazard to the far right side of the fairway so your tee shot should be down the left hand side, right of the bunkers on the left. Your second shot plays slightly downhill with the green sloping from back to front. Do not be long on this hole as there’s trouble behind the green. What you see is what you get on this straightforward par 3. The green is large and fairly easy to hit. The green slopes from the front to the middle. Take enough club because the yardage is all carry on this hole. This is a great par 4 where your tee shot needs to be to the right of the bunkers down the left-hand side of the fairway. 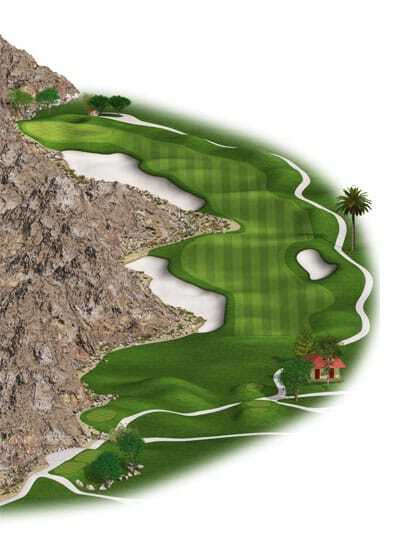 Your second shot plays uphill, so take one extra club to this elevated and undulated green. 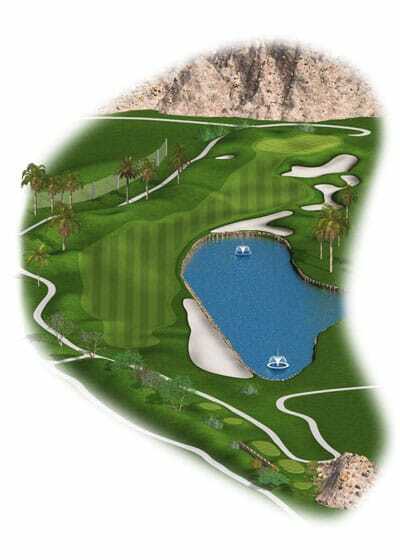 A beautiful hole alongside the mountains where some players will be able to reach the green in two. The best tee shot is down the left-hand side of the fairway. Your approach should also be down the left-hand side as there’s a very large bunker that protects the right side of the fairway up to the green. The green is slightly elevated and is the flattest green on the course. 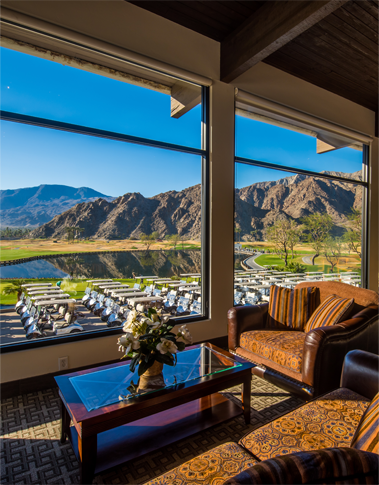 Our signature hole and an incredible view of La Quinta. 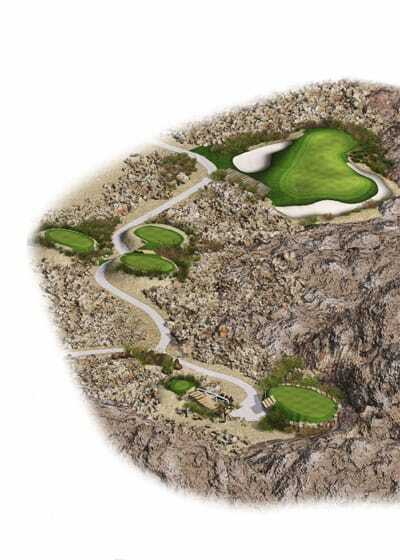 This par 3 plays slightly downhill to a pear shaped green. Don’t risk trying to get it close to a back pin placement – the middle of the green is the best play. 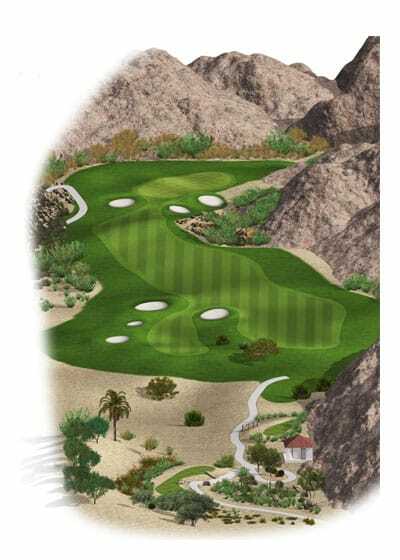 If you miss the green, you’re in the desert and should proceed to the drop area on the red tee box. 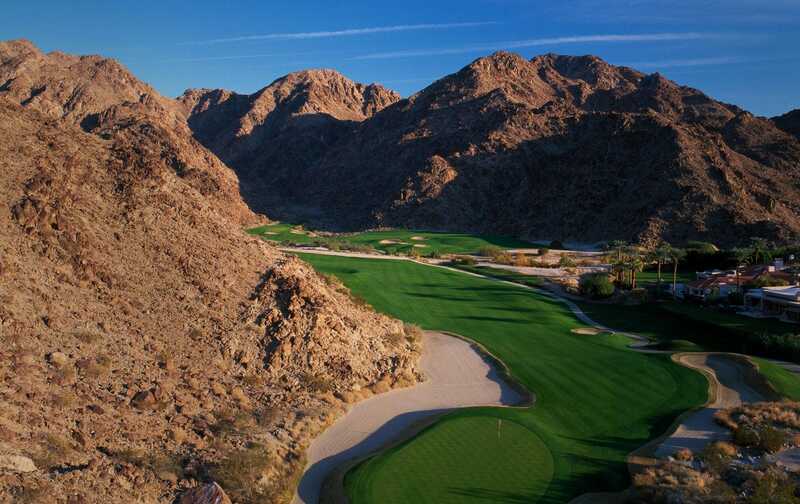 A long par 4 playing along the mountains. The tee shot needs to stay down the right side of the fairway as there’s a large bunker that covers the left side of the hole. 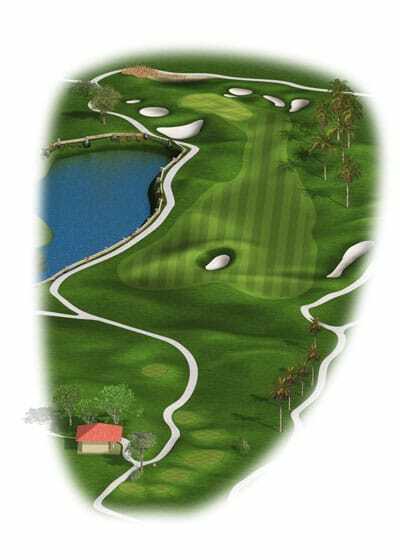 Your second shot needs to avoid the bunkers on the left as well. This is a very large green so pay attention to pin location. 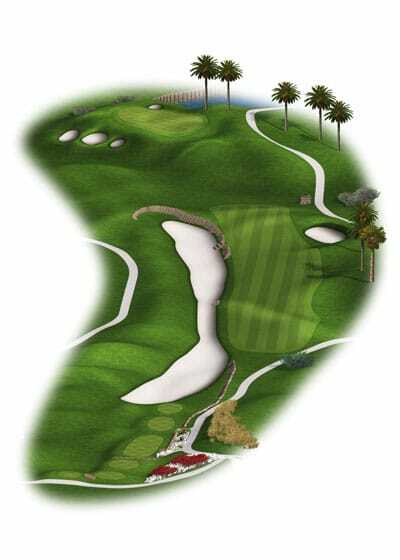 The finishing hole is a dog-leg left par 5. There is out-of-bounds on both sides: to the left where the homes are and to the right is the driving range. Just to the left of the bunkers off the tee is ideal. 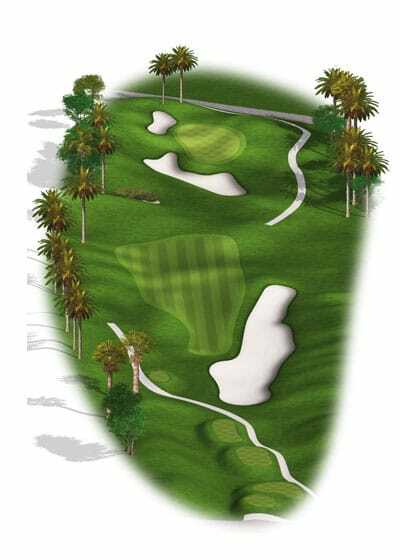 Your second shot should be toward the green which will allow the easiest approach to the sloping putting surface. Gallery View the Mountain Course, famed for its Pete Dye design. 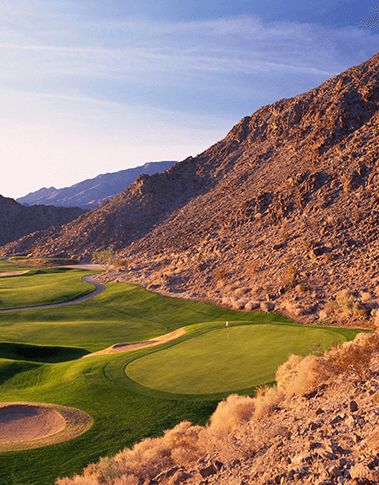 Directions Resort guests can take advantage of our shuttle service to any of the resort’s five golf courses, or follow these driving instructions. 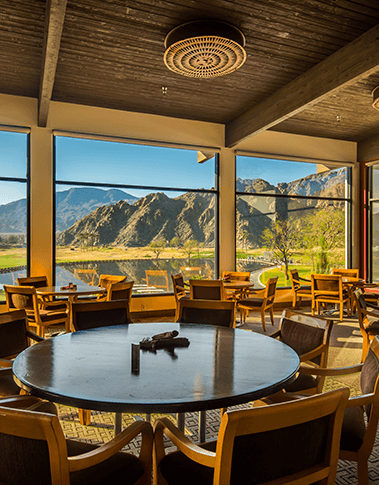 Mountain Dunes Clubhouse Savor delicious all-American classics at MD Grill.